Mountain Hardwear's unique Lamina construction maximizes the loft of your insulation, eliminates cold spots and thermally maps insulation to areas you need the most warmth. 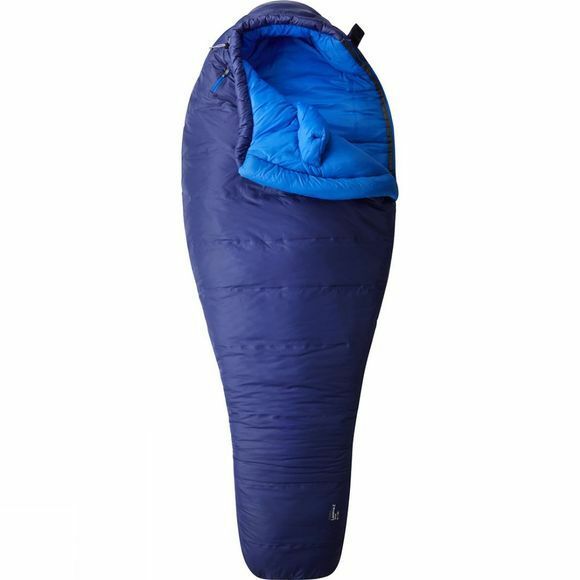 By strategically placing insulation, the Lamina Z Torch Sleeping Bag Long is able to concentrate warmth where you need it most, around your core and feet. The comfort mummy fit of this 5°F/–15°C rated bag offers room to move while remaining thermally efficient. It also features a draft collar and our exclusive welded Lamina construction that maximizes loft and eliminates cold spots caused by traditional stitching. Soft polyester lining wicks away moisture and lightweight nylon shell repels water. The full–length zipper has double sliders for ventilation.